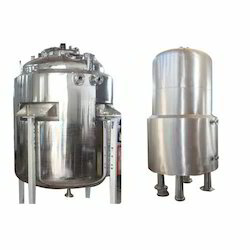 We are one of the most recognized manufacturers of pharmaceutical equipments that are designed and developed to perfection. Confirming to international quality standards, these equipment meet the diverse requirements of various pharmaceutical, chemical, petrochemical and engineering industries. Manufactured using superior quality material, these pharmaceutical equipment durable, dimensionally accurate and consumes less power. We also offer our range of products in various customized specifications. A comprehensive Range of Pharmaceutical Processing Equipment offered by us is used to meet various demands of plastic, textile, petrochemical, steel industry, and laboratories. These are fabricated using premium quality raw material and are appreciated for the features like durability, dimensional accuracy, excellent efficiency, corrosion resistance and leak proofing. Various tests are conducted to check strength and provide an excellent quality range of Pharmaceutical Processing Equipment. Agitated Filter is a closed vessel designed to separate solid and liquid by filtration under pressure or vacuum. The closed operation ensures odorless, contamination free and nonpolluting working conditions maintaining product purity and hygiene. The advanced technology of agitation and hydraulics used in the equipment makes it versatile and user-friendly. 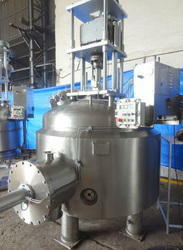 Looking for Pharmaceutical Equipment ?